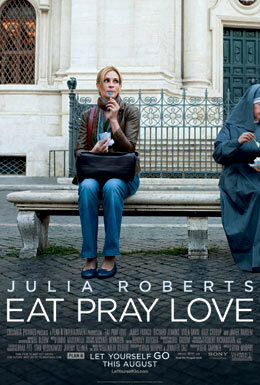 When it comes to choosing movie roles, there’s no one pickier than Julia Roberts, but when she first read Elizabeth Gilbert’s best-selling memoir Eat Pray Love, the actress was hooked. She takes on the lead role in the romantic drama and along the way she got to eat a lot, pray a little and take stock on the loves of her life, husband Danny Moder and her three adorable children. Tribute’s Bonnie Laufer travelled to Napa Valley in California to chat with Julia about her happy life and how working on this film changed her outlook on many things.